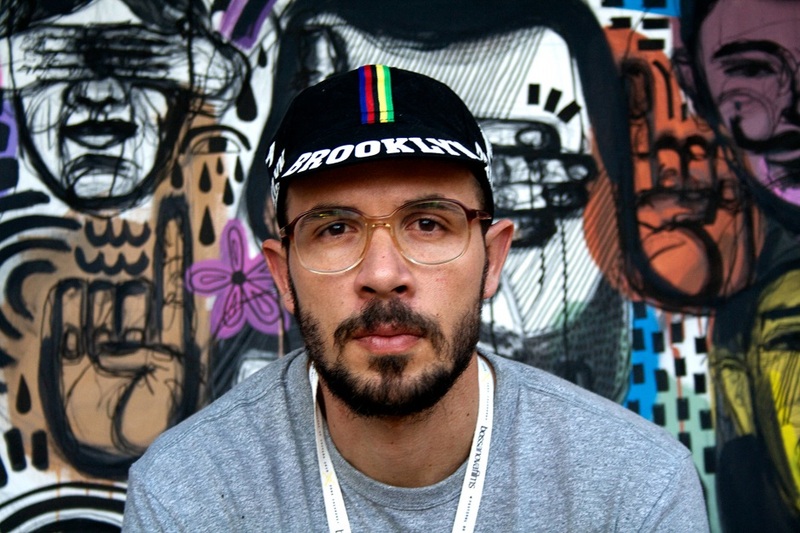 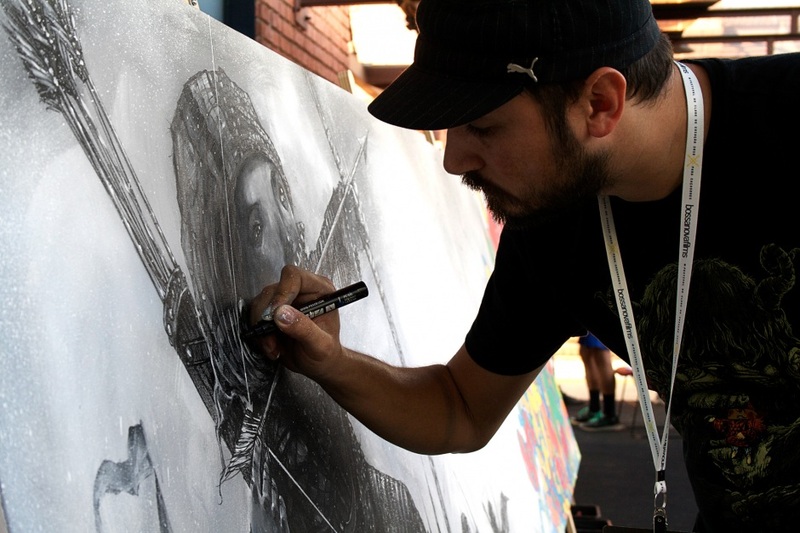 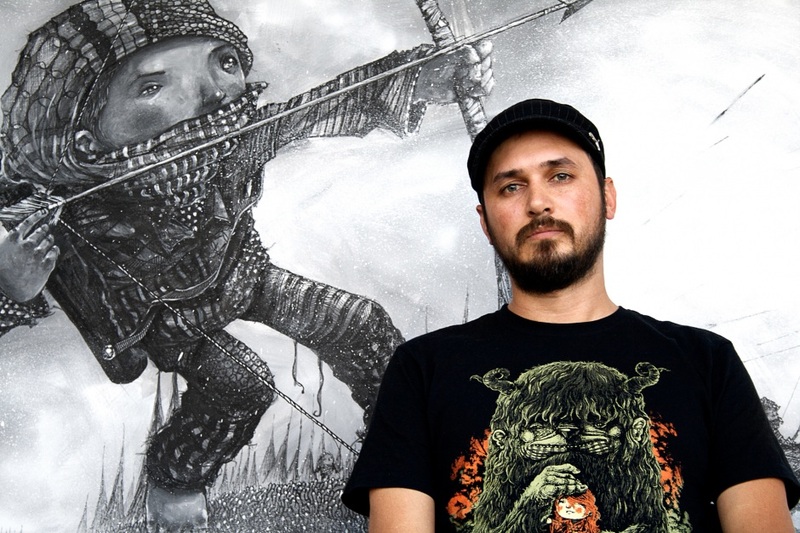 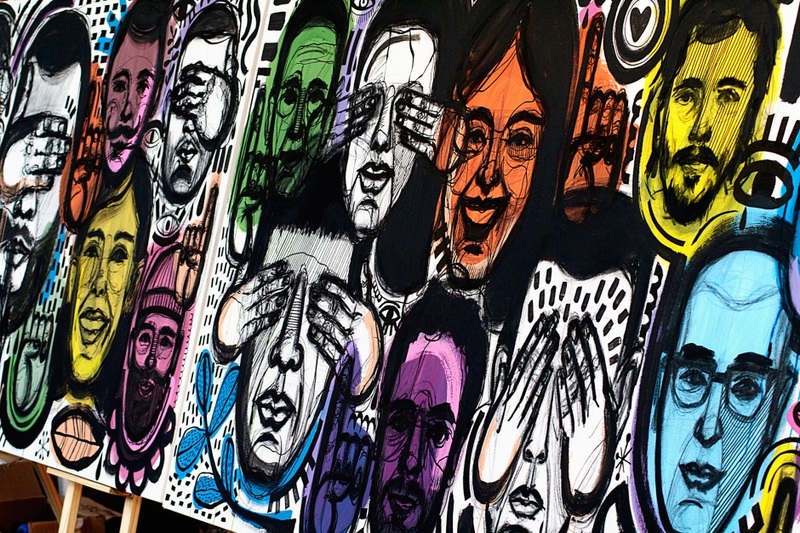 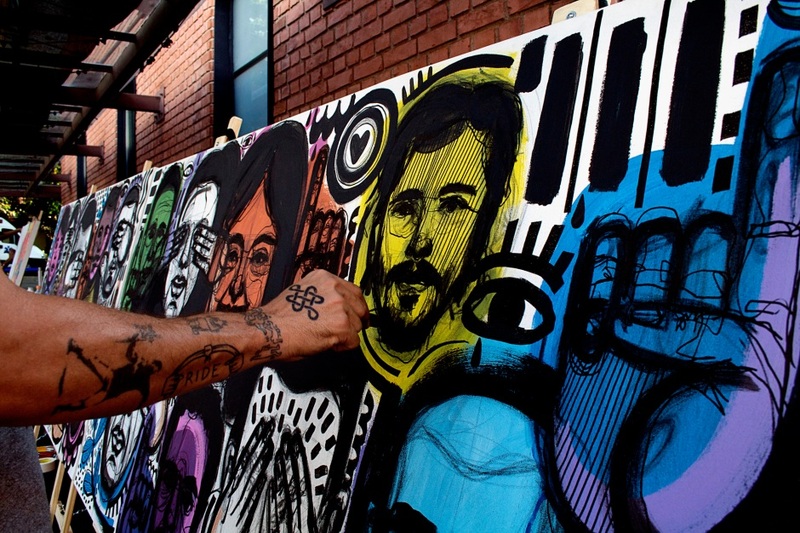 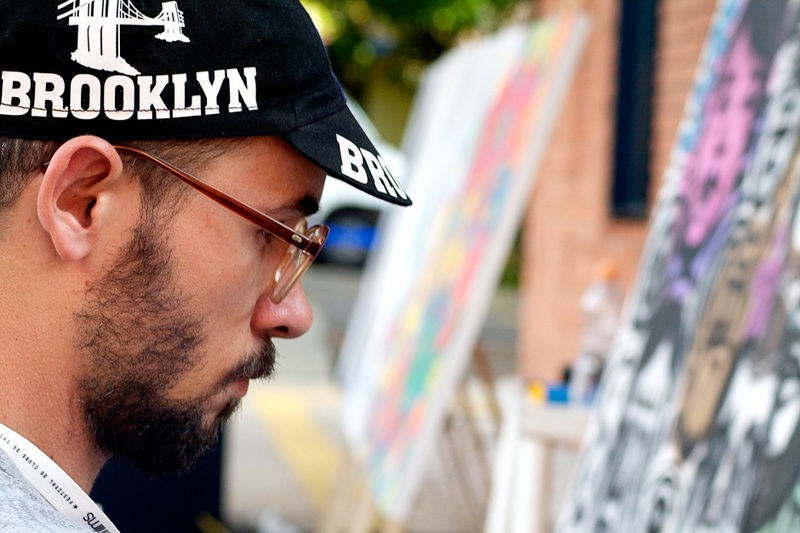 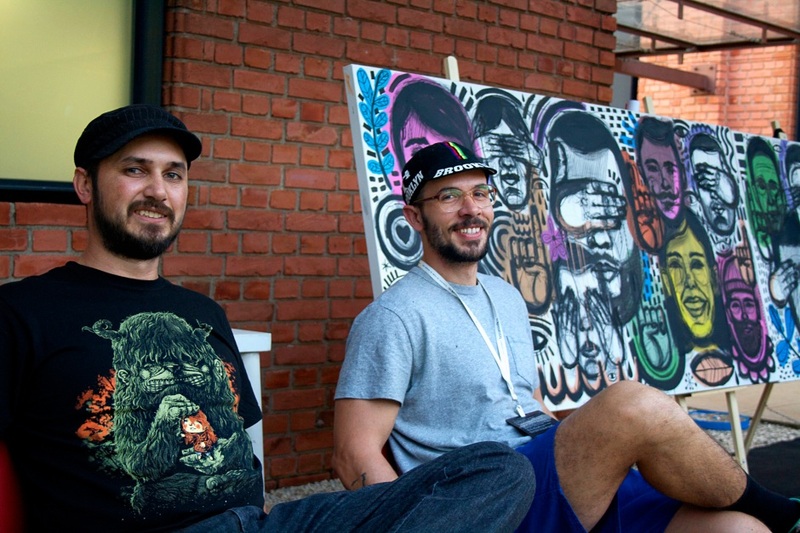 Live painting by artists Pirecco and Rogerio Puhl as part of the Clube de Criação Festival 2015. 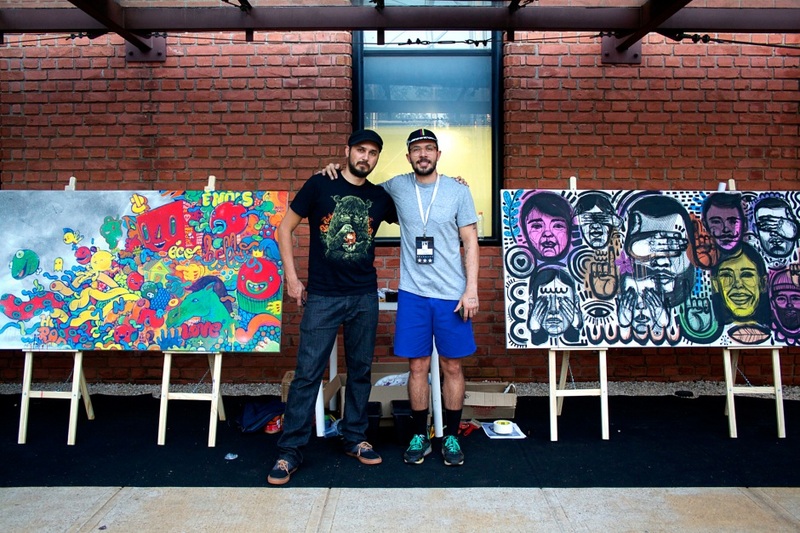 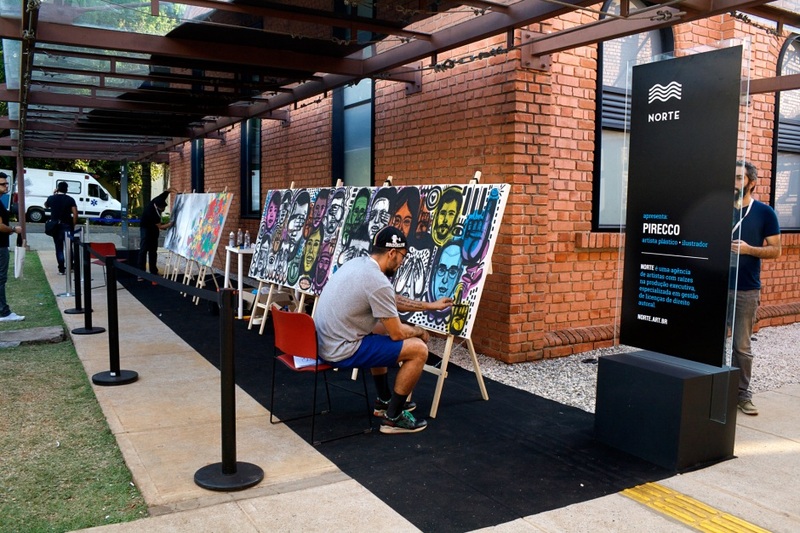 Artists Pirecco and Rogério Puhl were invited to participate in a live painting session produced by Norte at the Clube de Criação Festival 2015. 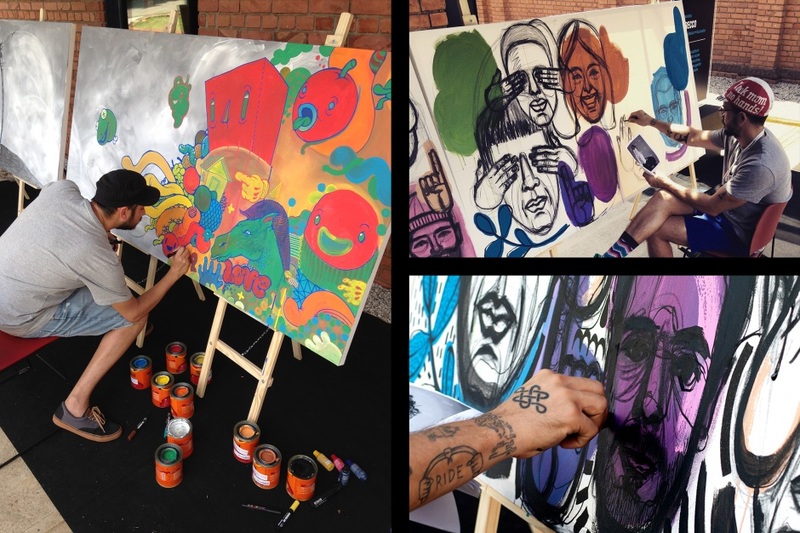 Through the three days of the festival, each artist painted a 4x1m piece, integrated by two canvases. 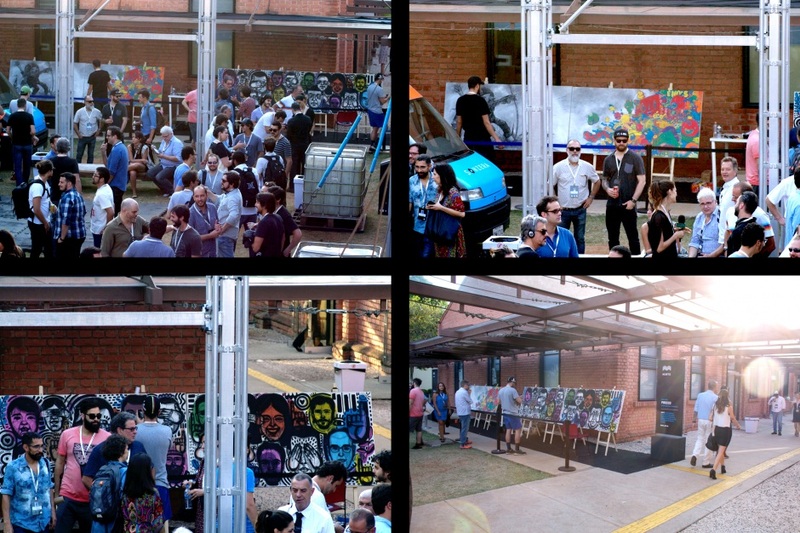 The pieces were donated to Clube de Criação.